More than three quarters of New Zealand’s existing electric vehicle (EV) owners consider that financial incentives from public funds are needed to ensure that more than half of new registrations of vehicles are electric by 2025. Incentives are needed to make new EVs affordable, to ensure supply meets demand, and to escape risky reliance on used EV imports that currently are not fully supported by their manufacturers once they reach New Zealand. The question was prefaced by the following introduction to help create a common understanding of terms: “Tax exemptions, reduced vehicle registration charges and ‘feebates’ (where additional taxes from high-emission vehicles subsidise the costs of low-emission vehicles) are examples of financial incentives offered in other countries to incentivise switching to electric vehicles. So far, EV owners in New Zealand are exempt from road user charges and incur a reduced ACC levy. Our national EV fleet has been more than doubling in number every year”. Respondents were invited to provide feedback in an open comments field to explain the detail or reasons for their choices. The poll was sent to 941 participants in Flip the Fleet on 13 August 2018. There were 542 responses by 20th August 2018, including 233 who provided an explanation or further reasoning for their choice. Over three quarters of respondents (79%) either ‘agreed’ or ‘strongly agreed’ that further incentives will be needed for New Zealand to reach or exceed the proposed EV uptake target by 2025 (Figure 1). Eleven percent were neither in agreement or disagreement with the proposition, and 1 in 10 respondents thought that additional incentives would not be necessary top reach the proposed target (8% disagree, 2% strongly disagree). 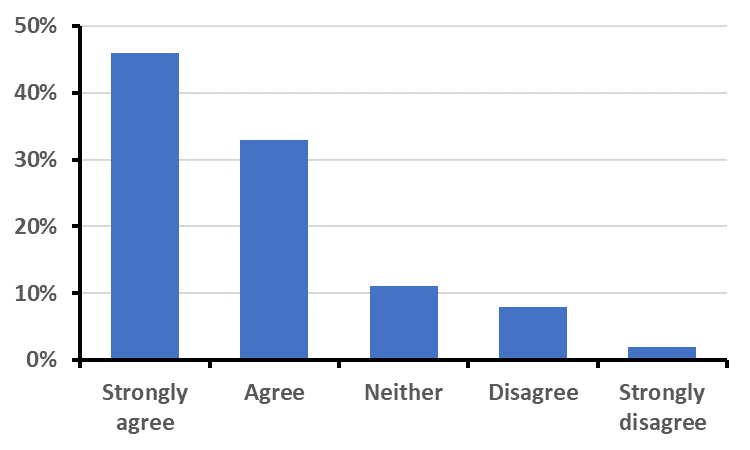 Figure 1: Responses of 542 participants to the proposition that further incentives are required for New Zealand to have half or more of new vehicle registrations being EVs by 2025, August 2018. Many of you have mentioned the high purchase price as a current barrier to EV purchase or upgrade, and recognise that current incentives such as road user charge exemptions will disappear come 2021. Some referred to the success incentives have had in “other countries”, especially in Norway, as evidence that they would help flip New Zealand’s fleet. Some also argued that incentives may be particularly needed in New Zealand because of the peculiarities of our vehicle market and sparse infrastructure. For example, absence of local incentives leaves us dependant on external incentives (e.g. Japan) for affordable and therefore second-hand EVs. Most differences of opinion about our overarching question related to differing views on supply and demand in the New Zealand vehicle market. Supplies might well dry up if overseas incentives are removed, especially as EV uptake in those source countries increases demand for electric vehicles and reduces the number available for export. Reliance on second hand imports will delay arrival of the newest and rapidly improving EV technology into New Zealand and have several unwanted consequences e.g. prolonging the “range anxiety” currently associated with earlier version EVs and reliance on lower-cost “battery” replacements to keep older EVs running. The tradition of keeping cars for much longer than in other countries means that flipping the fleet to EVs will be much slower in New Zealand unless incentives are mobilised to stimulate change. Encouraging New Zealanders to take up EVs might become all the more difficult without incentives if transition to EVs overseas triggers a flood of imports of even cheaper internal combustion vehicles (ICVs). A few of you plugged the numbers and pointed out that even if EV registrations continue to double each year, we won’t reach the proposed target of half of new vehicle registrations being EVs by 2025. Some consider that doubling in itself may prove difficult: “it is relatively easy in these early years. But doubling the numbers from 16,000 to 32,000 is going to be tough, and 32,000 to 64,000 next to impossible when we discover the number of second-hand imports from Japan can’t supply the demand”. Our high proportion of rural population, current lack of charging infrastructure and limited EV range paired with our engrained vehicle purchasing habits convinces some respondents that ‘50% by 2025’ may prove an unreachable target. Others considered it to be mainly a problem a lack of values, especially a lack of care for the environment, that will prevent demand for EVs beyond the current and relatively small group of early adopters. Others were bothered by the proposed target itself. One particularly forthright critic thought the target was “arbitrary”, “far too low” and sheer “tokenism” with the need to set “strong financial incentives such as feebates to encourage uptake”. The current government target was considered a nonsense by some because it does not appear to relate to any proven rationale, capacity for change, or the minimum needed to reach other goals (similar comments were made by respondents to 1-click survey #5 https://flipthefleet.org/2017/nz-will-reach-its-target-of-64000-levs-by-2021-1-click-survey-5/). According to this logic, the target in our question was equally problematical. One respondent called for “a coherent analysis on the costs and benefits of going slow versus fast in uptake and the necessary minimum to reach the Paris Agreement targets and national zero carbon goals by 2050”, as well as “an economist to determine the benefit to NZ” of powering fleets using NZ-produced electricity shows further research is warranted to see whether we can ‘rest assured’ that EV uptake will passively diffuse in time to meet national and global goals, or whether incentives are the push we need to pass the post. A minority of you are confident the target is achievable regardless of EV incentives and that it will be surpassed in the next seven years: “[the question is] only talking about registrations. 2025 is 7 years away. By then there should be a myriad of electric vehicles on the market at prices less than petrol/diesel alternatives”. Indeed, the 2018 EV Global Outlook predicts that EV market prices will match ICV equivalents by 2024. Some reckoned that EVs hold enough innate merit that they can be left to flood the market on their own, and that ICV taxes already seem sufficient. Knowledge that manufacturing costs will drop, battery replacement will become available, and a greater variety of EV models will soon be on the market has led some respondents to believe that uptake will happen quite naturally without the need for incentives. One said: perhaps “we shouldn’t be wasting our money trying to make this happen sooner”. However, if incentives could help reduce emissions and vehicle running costs between now and this critical mass of uptake, certainly they deserve some consideration. Industry and market incentives could also help resolve perceived current EV supply issues such as hefty price mark-ups (“the cost of a Holden volt started at 80k NZ but was half that in the US”), a lack of available models, inadequate support services, and low resale value (“try getting a trade in on a 2011, 9 bar Leaf”). A lack of supply of EVs in the NZ-new market is was identified by many of you as the main constraint for national EV uptake, and correspondingly the need for local incentives to bring in such vehicles is urgent. The lack of supply of new EVs forces car dealers to make the most of second-hand EVs that come cheaper thanks to place-of-origin incentives. In return, Kiwis receive “no support, no new EVs, and no NZ New Used EVs”. Some of you thought that an added push for new EVs to enter New Zealand is urgently needed: There will be a huge competition for the new and relatively new second-hand EVs right round the world in the coming decade, made worse by our left-hand driving (smaller production runs). For adequate supply we need to incentivise import and purchase of new EVs as quickly as possible”. One Flip the Fleet member suggests that car manufacturers and suppliers are making the most of growing global demand for EVs yet short local supply by keeping the cost of new EVs higher than they actually need to be: “All the hype about EVs is making newer cars too expensive. Dealers have found a cash cow for the rich”. Irrespective of opinions about whether incentives are absolutely needed to reach our target, most of you believe that incentives are bound to increase their uptake: For some its simple maths e.g. “If petrol cars cost more than an EV, then people will buy an EV”. One EV owner believed the initial aid could even be made back by the government over time: “If the government subsidies the initial price, even if they then get that back via higher road user chargers, that could help also i.e. the total being paid is the same, just spreading the cost out, like a current petrol car”. Such direct financial incentives could help in two ways: “making them cheaper to buy at the start, but also by keeping the resale value up”. A mix of direct and indirect ways of financially subsidising EVs emerged from your comments: (i) subsidise the import of new or near-new EVs ensuring a variety of models, (ii) providing indirect business incentives, (iii) make it mandatory for manufacturers and local suppliers to include electric drive trains in their fleets, and (iv) fund the start-up of EV repair and maintenance companies inclusive of staff training. The latter training element is already underway as part of the government’s EV uptake investments over the next three years. Feebates were by far the most attractive option for existing EV owners that responded to our poll. Some viewed them as “the fairest” incentive, and acknowledged their dual benefit of “penalising the threat (those gas guzzlers) and encouraging the solution (the EVs) for the same cost of administering the cross-subsidisation and at no net cost to the government”. Extending the road user charge exemption beyond 2021 provides some certainty for encouraging investment in an EV and the consequent savings on running costs can drastically reducing the time required to pay off any loan required to purchase the EV. Bumping up ICV taxes and petrol costs may seem appropriate mechanisms to some, but for others they were considered unfair because they penalise others i.e. such disincentives will also penalise our lower socioeconomic groups who are more likely to own the oldest, cheapest, and least efficient ICVs. This risk can be minimised by smart choice of the size of the feebate. For example, there are way more ICVs than EVs at the moment, giving scope for a small penalty on an ICV translating into a large benefit for an EV: “Maybe it could be as sharp as a 50 to one deal at first i.e. $100 extra on the registration of a banger transfers $5,000 to the purchaser of an EV. We could also apply the feebate just to the registration of new cars as they come into the country (i.e. either brand new of near new second-hand) rather than levy a feebate annually on all cars in NZ – then poorer families currently with an old car are not hurt, and anyone contemplating buying a new car has a more even choice between an EV and ICV”. Obviously, equity in the EV purchasing process is important so that all New Zealanders “get to participate in a better way of travelling”. Also, if EV uptake gains sufficient momentum, the cost of used ICVs is likely to drop, so poorer people may in fact be able to buy a cheaper ICV even if it has a feebate penalty imposed. Some respondents drew attention to a need for regulation alongside incentives: “Subsidizing electric cars doesn’t always make them cheaper, only higher prices [and] more profit for the dealers. Same happened with the insulation of houses, when the subsidy on insulation got introduced, the prices increased with the same amount or more.” Although import and manufacturing subsidies would make New Zealand more competitive in the global EV procurement market, perhaps a current market analysis would be useful to ensure prices didn’t rise accordingly once subsidies were put in place. The “free market” alone cannot necessarily deliver the desired outcome. Several of you emphasized a need “to get business on board”. Tax exemptions for EV purchases by businesses “would potentially drive procurement [of new EVs] and accelerate trickle-down to private owners”. Targeting incentives towards businesses could also help to expand the availability of different EV models such as utes, station wagons and vans (eventually available to the public at more affordable second-hand prices) while ensuring we have more new EVs entering the New Zealand fleet. Successful and prolonged EV uptake will not just depend on financial incentives and regulation. Some of you think investing in education and infrastructure are “just as important as individual financial incentives”. Conversations with interested citizens reveal some “don’t understand they can charge at home on a 15 Amp plug”, and others are unaware of the current road user charge exemption and ACC levy reduction – even after they’ve bought an EV! Further promotion of EV lifestyle and driving benefits could be an additional channel funding flows into. Ensuring “infrastructure outpaces growth” was also mentioned as vital for achieving a steady uptake of EVs, with the belief that “more chargers are more incentive”. Focusing on “Evolving” public transport fleets and investing in cycle and walkways were also pegged as ways government could help remove high emission vehicles from roads and set the EV scene. Public and active transport remain important pieces of the low-emissions challenge e.g. considering that “1 person in an EV takes up as much road space and parking space as 1 person in an ICE [internal combustion engine vehicle], and much land, energy and materials goes into roads and parking spaces”. Several of you believe stronger and more inclusive governmental regulations are required alongside incentives for EV uptake to be successful. The current need for business vehicles to present ANCAP ratings that meet health and safety guidelines – which are only available for new and not second-hand EVs – means businesses are excluding them as viable vehicles because they don’t “stack up from the accountant’s angle”. Meanwhile, “the Consumer Grantees Act is inadequate to protect buyers and without the full backing of the OEMs, the dealers are really vulnerable”. Poor role-modelling has some of you off-side with our political leadership: “Government haven’t even incentivised their own departments to go EV, so why would Joe Blogs do it?”. Action speaks loader than words. “If the New Zealand govt wants to actually have a “Clean Green New Zealand”, not just have the marketers tell the world that we do, it must put some money in to ensure we are actually as clean and green as we claim we are. Especially if it costs the govt nothing [in net terms, should a feebate be used]”. The majority of New Zealand EV owners believe that financial incentives will be needed to reach a target of EVs making up 50% or more of new vehicle registrations in New Zealand by 2025. Certainly, there was a near unanimous assessment by the EV owners that incentives will undoubtedly accelerate uptake, even though a minority view remains that the target we nominated is attainable without them. The majority view urging financial incentives is unlikely to be motivated by self-interest. After all, the respondents to this survey already own an EV and the majority of them are overwhelmingly pleased about the decision to buy one (e.g. see 1-click surveys #15 https://flipthefleet.org/2018/1-click-survey-15/). Rather, their judgement that financial incentives are needed, especially once the pool of early adopters is exhausted, is mainly based on repeated conversations with friends, family, colleagues and the media swirl that frequently challenges the EVs value proposition. The testimony in this and other 1-click surveys (e.g. 1-click survey # 11, https://flipthefleet.org/2017/when-should-people-buy-first-ev/) complements and is consistent with the formal research commissioned by the Energy Efficiency and Conservation Authority on why New Zealanders choose to buy, or not to buy an EV. i.e. the most frequent barrier to purchase is that EVs were considered to be “Not available at an affordable price” (January to March 2018 survey). Despite a majority asserting the need for incentives, some of you thought that we had the process backwards i.e. the target itself needs a shake-down to give it some meaning and make it worth shooting for. Is half of new registrations by 2025 enough to reach our national goals and international commitments to keeping global warming below 2 degrees Celsius? Is the target too modest (so it builds in mediocrity), or too ambitious (and so likely to turn people off)? Targets only work to draw people on to improved performance if they a realisable and inspire added effort. Targets will only inspire added effort if they are trusted and the reasons underlying their level are explained and understood – our experience is that EV owners generally do not know where the government’s current goal (to reach 64,000 EVs by 2021) comes from. It is only fractionally above the previous growth in EVs seen before the target was erected. We strongly urge completion of a formal modelling exercise to erect a Specified, Measurable, Action-oriented, Realisable and Time delimited (‘SMART’) EV uptake target. This can then be coupled to a cost-benefit analysis to ensure that New Zealand invests sufficient and an optimum level of public funds to ensure the target is reached. We were struck by the variety and subtlety of the suggested methods for incentivising uptake. There were calls for financial incentives, subsidies, and prolonged tax exemptions could be made available to the public at large, but clear recognition that industry and business incentives may have a greater impact on purchase price, model availability, and proportion of NZ-new electric vehicles. There were several warnings that ensuring supply of sufficient high-quality and improved EVs will get more difficult as other countries capture the available stock through direct incentivisation. Slower substitution of existing ICV stock is likely in New Zealand because we traditionally retain vehicles much longer than owners in other countries. This lag is likely to apply all the more to EVs because their maintenance and repair costs are so much lower than ICVs. “Trickle down” of EVs to second and third owners in New Zealand is probably going to be even slower, so there is an urgent need to incentivise the landing of new EVs in New Zealand rather than relying on second-hand imports. Although feebates was the most popular way to incentivise uptake, a whole package of different methods, include direct and indirect interventions, and both financial and non-financial ways to get more New Zealanders to switch. Improved regulation is needed alongside some of the incentivisation packages, partly to ensure that any public investment in EVs is actually transferred to the purchaser, but also to reduce looming risks from relying on second-hand imports of EVs. More pro-active government leadership is required to hasten EV uptake in New Zealand. Here’s a selection of the 233 comments we received from you this month, outlining the major themes and schemes you chose to share with us. We’re oh so glad you did! We should be aiming higher!